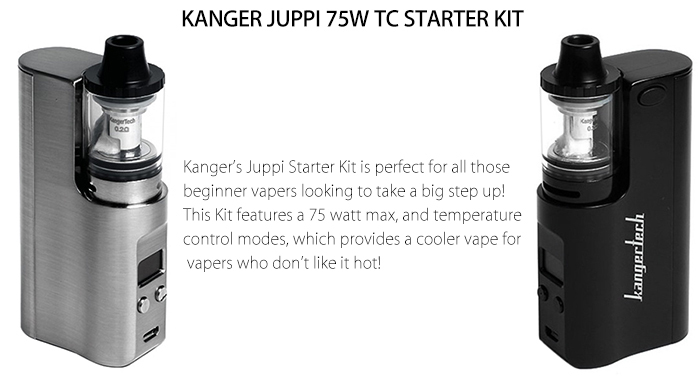 Kanger’s Juppi Starter Kit features the Juppi box mod and the Juppi tank. The Juppi box mod is a stealth style box mod capable of firing up to 75 watts and supports TC modes, such as, nickel, stainless steel, titanium, and even nichrome! 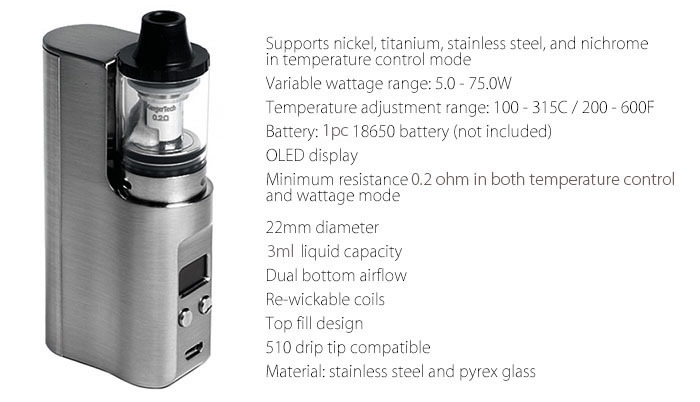 It also features a unique firing button placement; the firing button is located on the side of the mod for added comfortability. The Juppi tank features a unique coil structure design similar to the notch coil, and the Juppi tank is re-wickable so your coils last even longer! 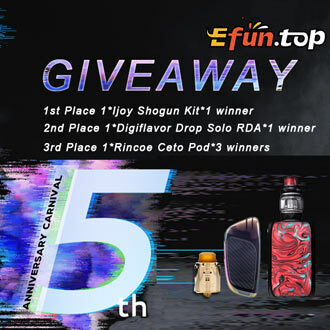 The Juppi Starter Kit is perfect for beginner vapers looking to take a big step up!